What a wonderful guide! Our group of six had two tours with Susana and we were delighted with both. 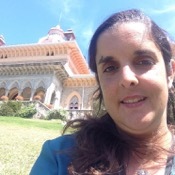 Susana is warm and friendly, knowledgeable and passionate about Lisbon. We all highly recommend her! We felt like we were seeing an old friend by the time she arrived for our second tour. Thank you Susana, we cannot wait to return to Lisbon.